We are in the process of moving WFAS to a new location. Please be patient as some of the functionality may be in transition. 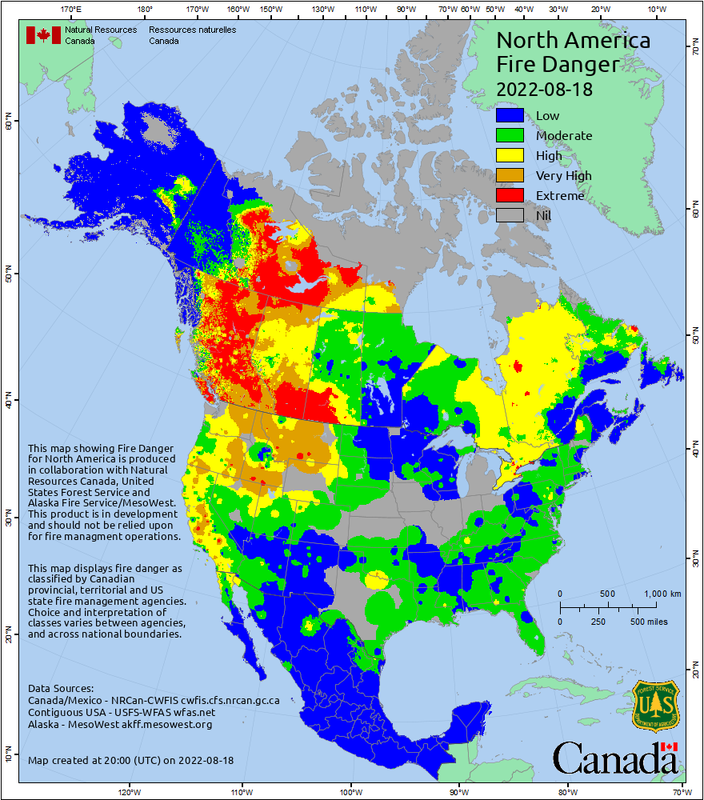 This map is produced daily by combining the fire danger products produced for Canada and Mexico through the Canadian Wildfire Information System (CWFIS) and the fire danger from the US Wildland Fire Assessment System (WFAS).